(Newser) – She was the first Democrat elected as Pennsylvania's attorney general, and hers was a seemingly limitless future in the Democratic Party. 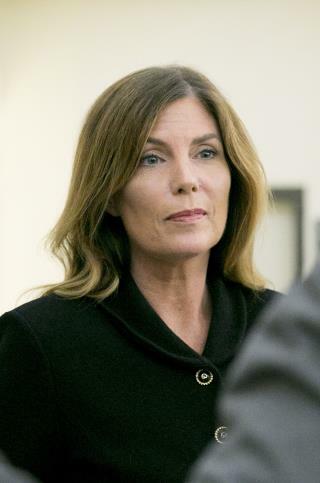 Now, the state's top prosecutor, Kathleen Kane, faces prison time after a jury convicted her Monday in a tawdry scandal that brought down several other state officials. Gov. Tom Wolf immediately called on Kane to step down, the New York Times reports, saying "the people of Pennsylvania deserve to move on." On Tuesday, Kane announced that she would do so, effective Wednesday, reports the AP. A jury found Kane, 50, guilty of nine charges including criminal conspiracy and two felony counts of perjury for leaking grand jury information and lying about it, PennLive reports. Going by your American standards of professional integrity, a rough count of about 90 % officials of courts in India would be behind bars serving time in prison. She must have thought she was in Chicago or Washington D.C.
Are all Dems totally immoral?